For the first couple of hours after I was born, I was “Baby Huang.” My parents weren’t married and my dad wasn’t in the room, so they just identified me with my mom’s last name. The way my mom tells it, he was watching the Tonight Show in the waiting room, and my dad becomes reasonably humbled. Sometimes, I think that was the first and last time I was unquestionably legible as an Asian-American. Whining about being mixed race is one of my specialties at this point, though this will not be an exercise in that vein. Legibility in society is something many people, particularly people of color, face on a daily basis. Whether it is attempting to be legible to a society that views you as only one thing, a checked box category, or trying to be seen as a person, are all issues of being seen and read how we truly are. Usually there is one space where you can be recognized with your own people, but I rarely feel that sense of belonging. I have never felt very comfortable in AAPI (Asian American Pacific Islander) spaces. I get the squint and the unsaid ‘why are you here?’ at the same moment that eyes flicker to the jade on my neck and question whether I am a sinaboo1 or something more offensive. However, I decided to take several steps and a plane ride outside of my comfort zone when I took the opportunity to intern for an AAPI non-profit organization in Los Angeles and work in Washington, D.C. for ten weeks last summer. I was afraid and unsure how I would fit into these spaces, and whether I might be an interloper once again. 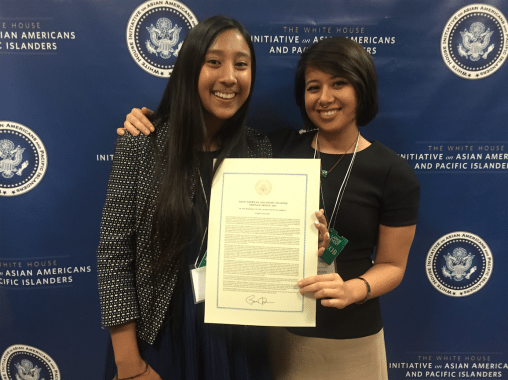 When I was accepted as a Leadership Academy Intern for the Center for Asian Americans United for Self Empowerment (CAUSE) to intern with the Conference on Asian Pacific American Leadership (CAPAL) in D.C., I learned a lot of acronyms and more about myself and my community than I could have anywhere else. There was not a singular event that allowed me to come to terms with and live in my skin, but an entire journey which allowed me change my mindset. 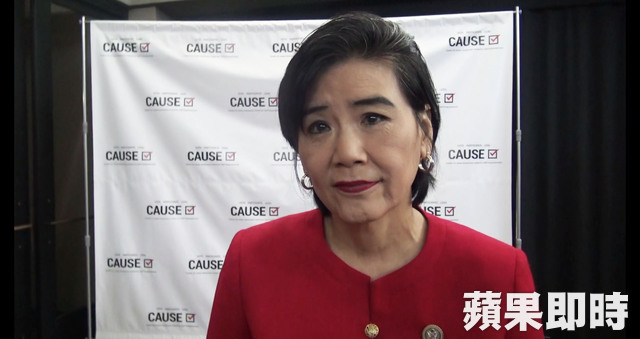 From being readily accepted by my peers and the leadership to being part of a pan-ethnic organization, I was not only able to learn about the AAPI community in all parts of the country, but from the people who were most affected by these issues. 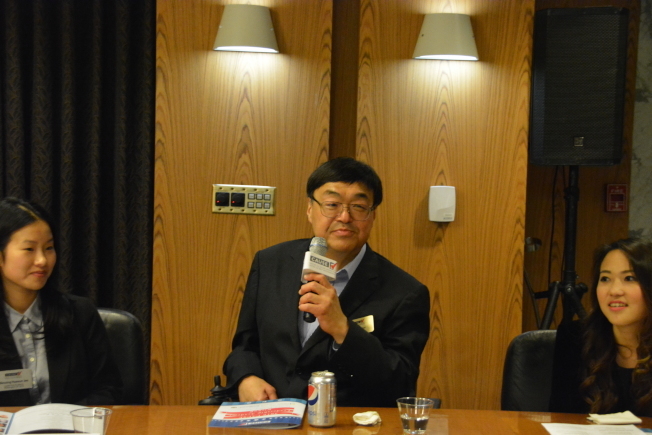 In addition, I had the luck and privilege of a mixed race AAPI supervisor who I came to see as a mentor and a friend. The sense of welcome, and an excitement for any AAPI to be interested in public service, allowed me to come into my identity as Asian American in ways I never would have expected possible. Just last year I was unable to think of anything good about being mixed race, as I often had the feeling of not belonging to any community. 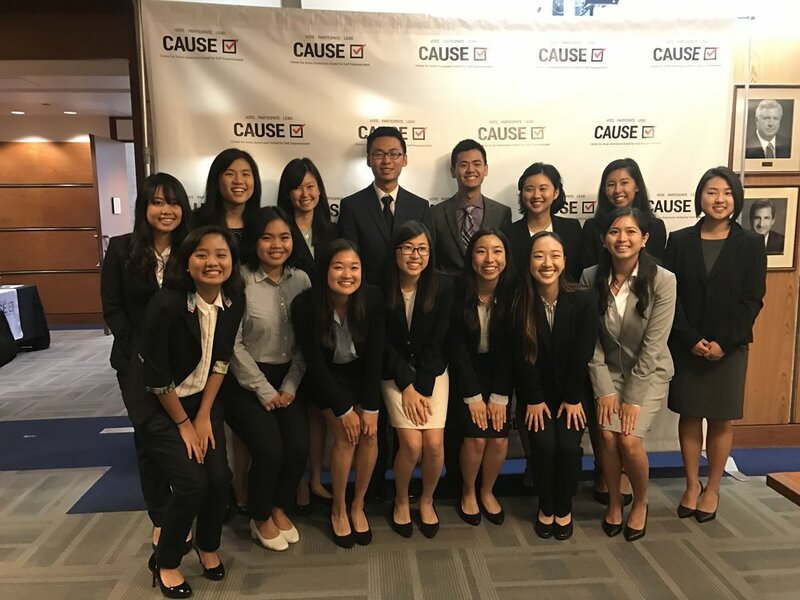 Personally, the comfort I have been able to feel in my own skin as a result of the opportunity to help uplift and create change in the AAPI community, even in the smallest ways, has been one of the most valuable experiences of this internship. For example, during my internship one of my main roles was working on an annual Career Fair. One of my duties was to order tables, at the time it seemed like an insignificant task, but every table used contributed money to my organization, to support future interns, and to allow AAPI access to networking opportunities they may not have seen otherwise. For me, this is the reason affinity-based internships are so important. Even for people who may not have my exact experience of racialization, it is important to be able to discuss issues within the community. This is particularly true in the AAPI community, which is already heterogeneous, encompassing a continent and several islands, and a multitude of different experiences of diaspora. Some argue that these spaces are not necessary, that there should not be organizations dedicated to a particular identity, however there is no way I can see this as a logical argument. These organizations, whether they are non-profit or parts of the government, exist to fill a space that was once blocked to us, to tell a different story, and to show us that we can be leaders too. That even if our faces aren’t on television, or if we’re assumed to be a monolith of a racist caricature from decades ago, we need to take up space, and claim the space we’re owed. This is particularly poignant in a place like Washington, D.C., where gentrification has hit multiple communities of color. From the Chinatown which includes an Urban Outfitters and only three hundred Chinese Americans still living in the area, to Dupont and U Street, which have become homes to high rise apartments and whole foods, but was once a historically black area. In some ways, we must critique our own participation in the disenfranchisement of people of color from their homes. The center I lived in hosted many interns, and was in the middle of new land developments. We need to push past representation for representations sake and move towards representation as a modality for change. I cannot rally behind a person of color in leadership if they are espousing the same rhetoric and beliefs as dominant powers. We need to use our space, and even our tokenization to get a foot in the door, to be a part of a conversation we may not be included in otherwise. For these reasons, I believe affinity organizations, whether they are in the Capital or on our campus, are key spaces for organizing and understanding goals as a community. It is impossible to mobilize something which has no name or direct values. Working within one’s community can do more than lift one person of color up, it can create a framework of people who help each other. My greatest understanding of this came from the White House Initiative on AAPI Youth Forum, where there was a panel on “Breaking the Bamboo Ceiling.” The glass ceiling is a more well known phrase, that attempts to name the blocks of advancement for women and people of color; sometimes, in AAPI spaces, it is somewhat jokingly called, “the bamboo ceiling”. It is not my favorite term for a couple of reasons, most particularly, it argues all we struggle against is an achievement gap. This is the kind of the thinking that forgets that we need more than representation. We need resources and we need to remember every part of our community, particularly those who do not fit the model minority myth. From undocumented AAPI (currently 10% of undocumented persons are AAPI identified), to high school dropouts and incarcerated individuals, and persons suffering from mental health issues. As an AAPI leader in mental health stated, “It should not be our goal just to get past the ‘bamboo ceiling’, but to prevent anyone from falling through the cracks in the bamboo floor”. This summer I realized it matters less how I look or how I am perceived, what I have power over is what I do. And for me, that is supporting and empowering myself and my community to do the best it can for those most vulnerable to powers outside our control.